A whole artist's life long, Frida Leider worked on the part of Isolde which eventually became one of her most famous rôles. From her debut as Isolde in Königsberg to her own staging of "Tristan" at Berlin's Admiralspalast in 1947, the singer perused and annotated the present copy of the vocal score, which she kept until the end of her life. Now it has been meticulously scanned, digitally cleaned-up as necessary, and we provide it on DVD-ROM as a source for researchers and enthusiasts alike. This project was made possible by a grant from the Mariann Steegmann Foundation. 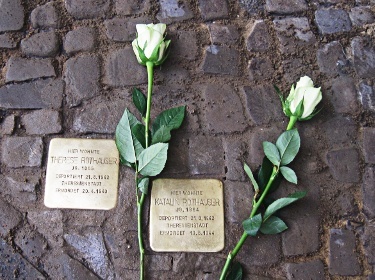 In Berlin two so-called stumbling stones were laid on November 12, 2013 for the baritone Juan Luria and the mezzo-soprano Therese Rothauser, as well as for her sister Katalin. The sisters Rothauser were deported from their home at Konstanzer Straße 11 to Theresienstadt where Therese died in 1943 and Katalin one year later. Therese Rothauser had had a long successful career at the Berlin Hofoper, later Staatsoper, afterwards she taught singing. Juan Luria - who was born in Warsaw in 1862 - had made a great international career when he settled in Berlin as a teacher. From his last apartment in Berlin at Bleibtreustraße 44 he fled to Holland in 1937. After the German occupation he was interned and finally deported to Sobibor where he was murdered in May 1943. 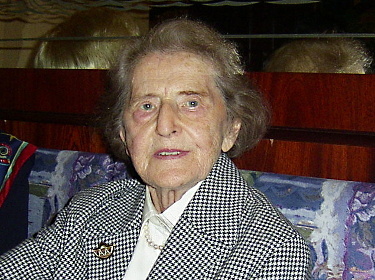 Hilde Bahl who had been Frida Leider's friend and housekeeper for many years died on May 13, at the blessed age of 104. Born as a daughter of a Siemens engineer and grown up in Siemensstadt, Berlin, she spent part of her childhood in Japan where her father was transferred to. Later she worked as a secretary in a lawyer's office, sporadically she lived in Holland. In 1948, after the death of Frida Leider's mother, Hilde Bahl accepted the responsibility as housekeeper and secretary in the household oft he artists Frida Leider and her husband Rudolf Deman. During those many years she became more than an employee, she became a very close friend. After Rudolf Deman's death in 1960 Hilde Bahl remained a loyal friend to Frida Leider until her old age and her death in 1975. Also afterwards she untiringly took care of the artist's legacy and her posthomous fame. 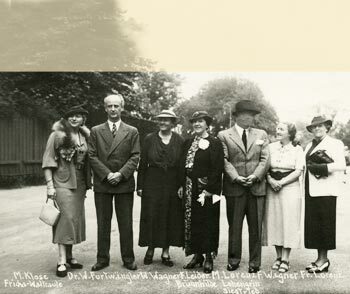 Hilde Bahl supported the formation of the Frida Leider Society with sympathy and energy. She donated numerous paintings, as well as original Schellack records, sheet music, programs, and newspaper clippings from Frida Leider's legacy to the Society. With gratefulness we recall an amiable and generous woman. In addition to the publication of registrations directly related to Frida Leider the Frida Leider Society is going to release compilations and registrations of a more general historical interest. Some of these will be issued on CD for the first time. 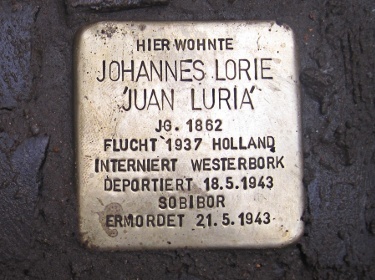 Juan Luria was born in Warsaw in 1862 as Johannes Lorie. He studies with Joseph Gänsbacher in Vienna and Baks in Berlin. Already in 1884 the singer makes his debut at the Court Opera in Vienna, since 1885 he is engaged at the Royal Theatre in Stuttgart where he is awarded with the title "Württembergischer Hofopernsänger". Five years later Luria is contracted with the Metropolitan Opera New York, where he appears in eight different roles during one season. Since 1891 he lives in Italy - by the name Giovanni Luria - singing at La Scala in Milano, where in 1893 he creates Wotan in Wagners "Walküre" in its Italian premiere in Italian language. Back to Germany the singer takes up residence in Berlin from where he successfully makes guest appearances in numerous opera houses. Since 1908 he dedicates himself nearly exceptionally to his educational activities. In 1937 Luria - as a Jew - has to leave Germany, fleeing to the Netherlands, teaching continuously in Amsterdam, later in Den Haag. After the occupation of the Netherlands he is arrested, afterwards deportet to the concentration camp in Sobibor where he is murdered on 21/5/1943. Out of the abundance of Lurias recordings this CD offers a representative choice impressing with the singers widely versatile talent. Regarded as especially	important documents are the religious Hebrew songs which were recorded in cooperation with the choir of the New Synagogue in Berlin.